How high can I build my front fence and boundary fence? If applying for a new fence approval from your local authority, most fence laws and requirements are documented in a local council development plan. 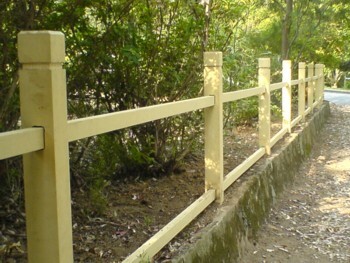 Generally, in most states (and many countries), front fences can be built up to 3′ (0.9m) high. If the surrounding properties have a higher fence it is safe to assume you can build a fence to the same height. One exception to this rule is where you may live in a development where a developer has placed a covent over the height or style of fencing in order to keep a uniform look to the development, or to protect individual owners views or privacy. Can I build my boundary fence higher then 6′ (1.8m)? What If My Neighbor Objects? How high can I build my front fence or boundary fence? 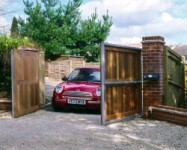 If applying for a new fence approval from your local authority, most fence laws and requirements are documented in a local council development plan. Generally, in most states, front fences can be built up to 3′ (0.9m) high. If you cannot gain the approval of your neighbor you can lodge a development application for small projects or speak with your local council representative. A development application will allow the council to assess the fence height request and may or may not approve it depending on individual circumstances. If applying for a new fence approval from your local authority, most fence laws and requirements are documented in a local county development plan. Generally, in most states (and many countries), front fences can be built up to 3′ (0.9m) high. Privacy is a common cause of dispute between neighbors, but privacy is a 2 way thing! If your neighbor can see you in your kitchen from their lounge room, then you can see them in their lounge from your kitchen! The first thing is to speak with your neighbor. If you are both in agreement you can provide a privacy screen to the top of the fence, or even increase the fence height. If no other neighbors are effected then you can simply proceed. Does my new fence have to be exactly on the boundary line? Trees and their location can often cause much disagreement between neighbors. Problems such as overshadowing, privacy, damage from roots or falling branches can cause issues between neighbors. Where both neighbors agree to rectification of the problem and an agreement on costs can be reached there is no problem. In the event your property is shared with an owners corporation, managing agents, apartments, villas, townhouses or commercial structures, it is best to advise the registered owners in writing, of the works or rectification work required and any costs involved. If you are not on speaking terms with your neighbor, or the home is tenanted, a well drafted letter informing them of your intentions should be sent to the owners registered address prior to any works. If your fence requires replacement you need to send a letter to your neighbor notifying them of your intentions, their responsibilities in regards to access and payment of their share. To help with your negotiations we have drafted a collection of ‘Letters To Serve Your Neighbors RE: FENCING’. Print the letters you require for notification, costs and works completed and claim your share of the cost from your neighbor.